At Hollin Law Offices, we are committed to assisting individuals, entrepreneurs and businesses protect their intellectual property. We take pride in our client relationships and strive to understand their needs and goals. We recognize the importance of safeguarding your ideas, designs, processes and inventions starting at the conceptualization stage. J.T. 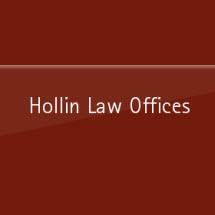 Hollin has been practicing law for more than 30 years in the greater Atlanta, GA area. As a registered patent attorney, he has helped residents throughout Georgia and the U.S. identify and secure the rights and profits of their intellectual property, as may be protected under state and federal property laws.